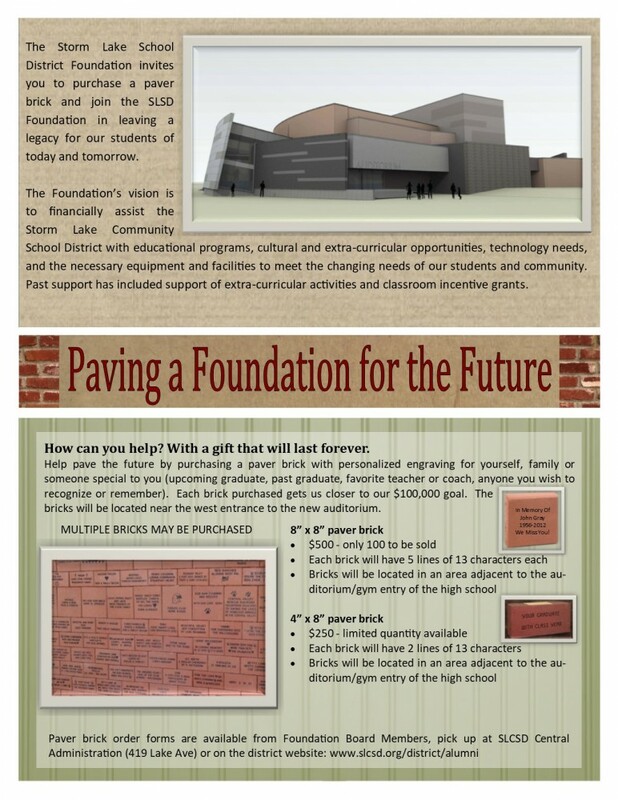 "The Foundation exists to broaden financial support, promote interest, encourage participation, and create good will for the extra-curricular activities among faculty, students, alumni, parents, and friends of the Storm Lake Community School District." Storm Lake Community School District Foundation announced the awarding of nine classroom educator incentive grants in the Storm Lake District for the 2018-19 school year at the district’s retirement breakfast on Thursday, May 31, 2018. The foundation is putting $7500 into the district to support needed efforts as determined by the teaching staff. These grants were awarded by Mike Porsch, Executive Director of the Foundation. These grants are intended to support work that cannot be accomplished with current district funds. These will fund classroom or building projects which will help teachers in accomplishing already determined school improvement goals. It is the foundation’s hope that this will continue the financial support for the hard working staff in the district and will allow teachers to creatively develop programming that will allow all students to be successful. The Foundation hopes that this seed money will allow educators to move ahead in a project that might make the crucial difference in achievement for some students. It is the intention of the Storm Lake Community School District Foundation that these awards signal a public partnership to help educators do critical work in the school district to help our students. The Foundation knows that teachers are the most valuable component in students’ success and want to assist the district to make that happen. For more information about the Foundation and their activities, please contact Mike Porsch, Foundation Executive Director. 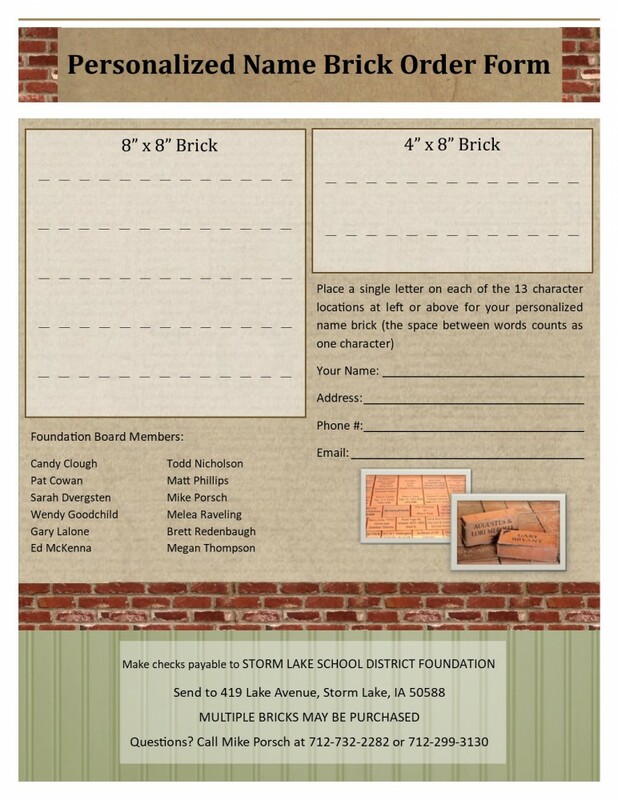 The Storm Lake Community School District Foundation recently became involved in a major fundraiser: "PAVING A FOUNDATION FOR THE FUTURE." Please check out the flyer below to invest in the future of Storm Lake Community School District. If you do a little extra giving around the Holidays or if you are planning your estate, remember our foundation. Donations received are tax deductible.